Understanding the Housing Act 2004 is not an easy task - we know that and we've been using the legislation since in came into force in 2006! The Housing Act 2004 is the legislation that introduced the Housing Health and Safety Rating System, mandatory HMO licensing, additional & selective licensing and the tenancy deposit protection scheme. As such, it is the main housing legislation used by local councils in England and Wales. 300 plus pages covering a wealth of topics including the housing health and safety rating system; enforcement of housing standards; mandatory HMO, additional and selective licensing; and empty dwelling management orders. These regulations concern the operation of management orders and empty dwelling management orders. Not very interesting for landlord! These regulations set out some of the circumstances under which a council can implement a management order to take over the management of a property. These regulations set out the type of tenancies and licences that are exempt from selective licensing. These regulations set out the description of properties covered by mandatory HMO licensing from April 2006 to September 2018. A new set of regulations will change the mandatory HMO licensing criteria from 1 October 2018 - scroll further down the list to find out more. These regulations set out the management requirements that apply to all HMOs (except section 257 HMOs), not just licensed properties. Non compliance is a strict offence which could result in an immediate prosecution, so these are really important. 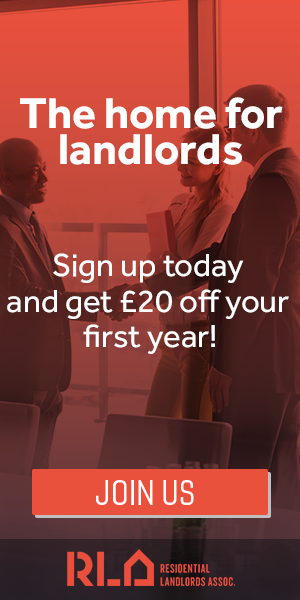 These regulations cover a whole range of issues including what is a single household, types of properties exempt from the HMO definition, information about licence applications, prescribed standards for licensed HMOs, publication requirements for new schemes and the requirement to maintain a public register of licences, temporary exemption notices and management orders. These regulations set out the management requirements that apply to all section 257 HMOs. Non-compliance is a strict offence that could result in an immediate prosecution, so these are really important. It also covers prescribed standards for section 257 HMOs that are subject to additional licensing. These regulations set out how additional licensing and overcrowding notices can apply to section 257 HMOs and amends the definition of ‘person having control’ with respect to section 257 HMOs. These are important new regulations that widen the criteria under which councils can introduce selective licensing. The new powers enable councils to introduce a scheme in an area with a high proportion of private rented properties in order to tackle issues around poor housing conditions, migration, deprivation or crime. It came into force 1 April 2015. OK, its not a set of regulations but still equally important. It restricts councils powers to introduce selective licensing to 20% of the geographical area and a maximum 20% of private rented homes. It came into force 1 April 2015. These regulations set out the description of properties covered by mandatory HMO licensing from 1 October 2018. These regulations introduce new absolute minimum bedroom sizes for licensed HMOs on 1 October 2018. The regulations also introduce a new mandatory licence condition about the storage and disposal of household waste. The regulations apply to properties licensed under mandatory HMO or additional licensing schemes. The rules and regulations can change on a regular basis. To keep up to date with all the latest developments you can sign up to our free newsletter.